If you have an impressive DVD collection,but it is a hassle to go through all of those discs just to pick a movie for the night. There’s got to be an easier way! And there is. 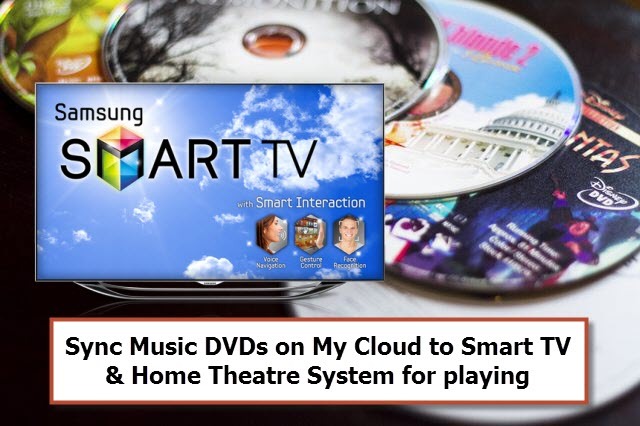 you can check out this guide to learn how to put the DVD movies you collected to your WD My Cloud for storage and streaming on Smart TV or Home Theatre System, then you can easily share them with your friends or family. There are a lot of programs on the market that let you rip a DVD and immediately convert it. But, Pavtube DVDAid is the best Choice, This is a powerful DVD copying program can easily help you convert DVD to WD My Cloud with super fast conversion speed and excellent image and sound quality. Also it’s capable of converting DVD discs to 1080p/720p MP4 for playing on smart tv. Overall, this top DVD Ripper for MyCloud can remove the DVD disc protection and copy source disc to computer hard drive with same structure preserved. Note: For Mac users, you can get Pavtube DVDAid for Mac. Now you’re ready to move your DVD movies into WD My Cloud on Windows. Run the DVD Ripping program and click “DVD disc” icon to load DVD movies for converting. You can also import movies files from DVD VIDEO_TS folder or ISO image files. 1. If you’d like to copy only movie content and leave out the extras and commentary, the Directly Copy is exactly what you need, which copies intact .M2TS/VOB main movie from original BD/DVD disc without extras. 2. The general format is “H.264 Video(*.mp4)” from “Common Video” option. (As you know, WD My Cloud can support a wide range of format like MP4, MOV, AVI). What’s More? “Common Video >H.264 Video(*.mp4)” it’s the most widely used format which will be supported by your Samsung Smart TV or Other Media Players. If you have special requirements on target video, click “Settings” to customize video size, bitrate, frame rate and sample rate. 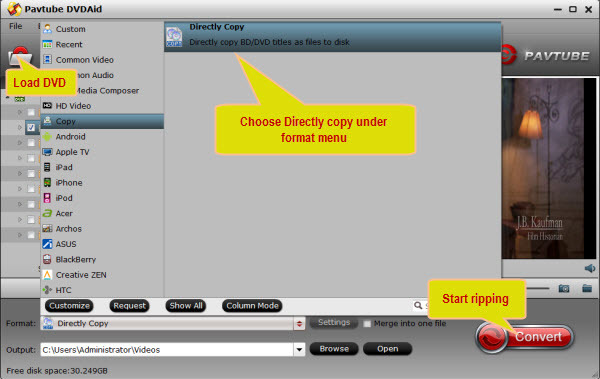 Click the “Convert” button to start converting DVD to MP4 format. With the technology of CUDA acceleration it will provide you fast conversion speed. Once completed, go to “Open” the generated MP4 files for playback on your Smart TV or Home Theatre System. How to convert multi-track MKV to AVI with subtitles for Samsung Blu-ray Player/TVs?